Introducing the WINNER of our YZ250F Giveaway! CYCLE TRADER CHALLENGE FOR THE KIDS UPDATE: Final results! 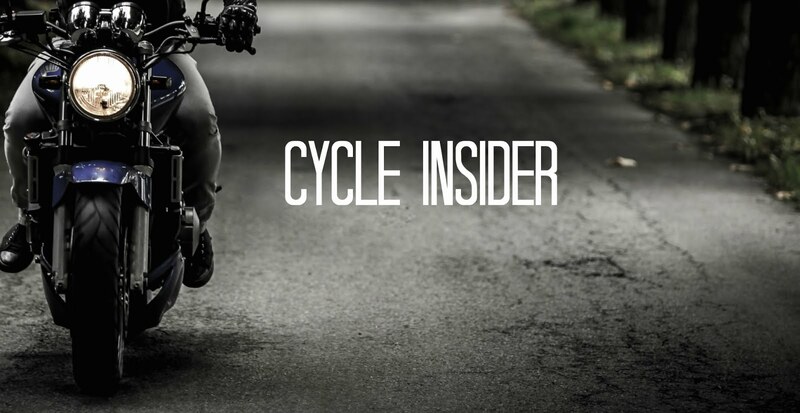 Cycle Trader’s Challenge for the Kids launched throughout the month of September, and encouraged riders to get out on the road and log their traveled miles in Rever, a newly launched app that brings motorcycle enthusiasts together like never before. 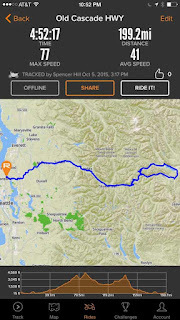 Similar to other map-based mobile apps that track an individual's covered distances, Rever lets riders plan, record and share their trips with other riders. The platform also partnered with Ride for Kids, a nonprofit organization sponsoring motorcycle rally events all over the country to raise money for pediatric brain tumor research. The challenge ran throughout the month of September, with the goal of reaching 250,000 total miles logged by motorcyclists in the app by the end of the month. Enthusiasts surpassed the goal by September 19th, and continued to ride and log their miles throughout the month. In the end, the program achieved over 380,000 miles and 4,695 rides by the 30th of September. As a result, Cycle Trader will provide funding for the Pediatric Brain Tumor Foundation to award scholarships to three childhood brain tumor survivors. Justin Bradshaw, Co-Founder of Rever, was just as enthusiastic. "We were very excited about working with Cycle Trader and Ride for Kids on this challenge," said Rever Co-Founder, Justin Bradshaw. "This was an incredible opportunity to engage with the motorcycle riding community and focus on a common cause that has a huge impact on kids' lives." With millions of riders on our site each month, we encouraged our Cycle Trader fans to join the challenge and really help make a difference in the lives of these children. 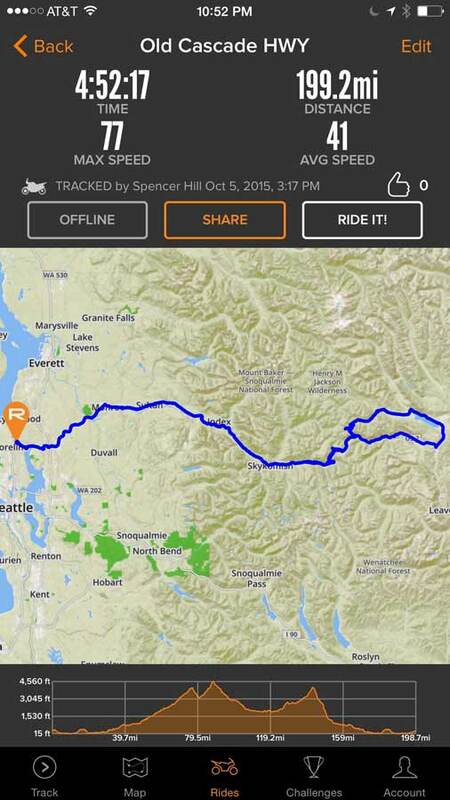 The Rever app is an incredible tool for keeping track of rides and logging miles - and, with it, we were able to bring people together to support a noble cause. For everyone participating, no matter where you are or what you ride, it was a win-win. From all of us at Cycle Trader, as well as the Pediatric Brain Tumor Foundation and Ride for Kids, we thank you from the bottom of our hearts for using your passion to help us create such a wonderful charity program! We can't wait to see the results that similar challenges like this bring us in the future. We knew we would do well, but the cycle community blew the challenge out of the water. We are so glad that we are now able to donate these college scholarships to such deserving children, all because of motorcyclists getting on their bikes and logging their miles. Thank you to all the riders who participated nationwide in the challenge, and we encourage everyone to continue to get out and ride! The Rever app is available for download on both iTunes and Google Play. CycleTrader.com is made up of a unique portfolio of premier power sport buying and selling sites. These include: Cycle Trader, ATV Trader, PWC Trader, and Snowmobile Trader. With its wide variety of products, Cycle Trader provides a comprehensive digital marketing solution for all businesses serving the power sports industry. With nearly 400,000 units for sale and over 2 million visitors every month, Cycle Trader reaches active buyers across all devices, making it one of the leading online power sports marketplaces. The free Rever app, available on iOS and Android, works in conjunction with the Rever website to help riders discover the world’s best roads, create custom routes, track epic rides, compete for bragging rights and share their riding experiences across social platforms. Since launching in 2015, Rever users have tracked millions of miles on motorcycle rides in 119 countries around the world. For more information, visit www.rever.co. a cure for the top cause of cancer death in children. Ride for Kids also funds free educational resources, college scholarships for brain tumor survivors and emergency financial aid for families. American Honda is the presenting sponsor of Ride for Kids. Other national supporters include GEICO and Cycle World magazine. To ride with us to cure the kids, call 800-253-6530 or go to www.rideforkids.org. More children die of brain tumors than any other cancer. The Pediatric Brain Tumor Foundation is the leading nonprofit seeking a cure for this deadly disease and helping survivors and families cope. We've funded more than $28 million in research over the past three decades, and our programs include free educational resources, college scholarships for brain tumor survivors, emergency financial aid and mission-focused events such as Ride for Kids and the Starry Night 8.5K. To help us cure the kids, call 800-253-6530 or go to www.curethekids.org. Smart tip would be to visit the site, Should there be unique campaigns, accessible, the company's recognized website would be the best place to discover more on all of them. While you are there, be sure to check out the Era 1 Angry Canine Moped. It is the least expensive design and it's a great deal less expensive than a genuine Honda Ruckus https://www.powertoyplanet.com. Looking for a decent essay writing service? Try out this one, guys, you'll be definitely pleased with the result.